Seventeen albums, 10 Grammy Awards, 10 Dove Awards, 2 NAACP Image Awards, and a Soul Train Award. Add all the numbers and it equals to the sum total of Take 6, one of the most successful music groups in history. Members Claude McKnight, Mark Kibble, Joel Kibble, Dave Thomas, Alvin Chea and Khristian Dentley, continue to bring extraordinary vocals to their worldwide audiences. They recently made their Soundstage (PBS) debut alongside legendary group The Manhattan Transfer. 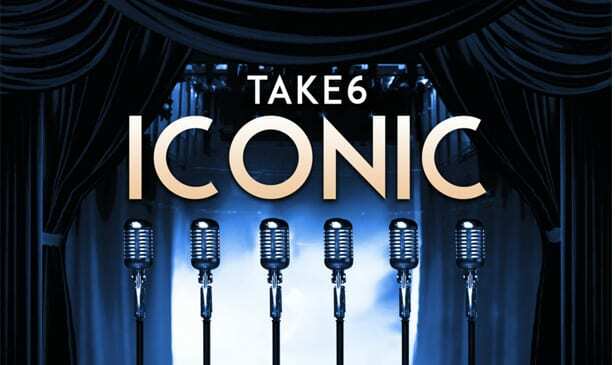 Take 6 have just released what is sure to be another GRAMMY contender, the newest CD ICONIC. Their latest has already debuted at #1 on Billboard’s Contemporary Jazz chart. The project is composed of eclectic tunes pay tribute to both the music and the artists that made them famous, from a fun and vocally significant cover of Justin Timberlake’s Can’t Stop the Feeling, a unique and harmonic interpretation of Christopher Cross’ Sailing; a memorable vocal arrangement on Norah Jones’ Don’t Know Why. They also pay homage to their friend Al Jarreau, with their rendition of Roof Garden. But Take 6 haven’t abandoned their gospel roots and included the hymn Nothing But the Blood in the album’s repertoire. Clearly, the Iconic CD crosses most musical genres, for which Take 6 has always been known for doing. 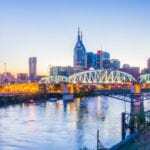 Last week the Tribune had the opportunity to ask 5 Questions to Take 6 member Joel Kibble, who lives here in Nashville, about the group’s latest project, along with some of other topics of interest. TRIBUNE: When it’s time to release new music, does it ever feel like just another day at the office for you guys? TAKE 6 (JOEL): To an extent some of both, this is probably our, oh my goodness, 17th project or whatever, but in light of that, every project is unique. So, I would say it probably doesn’t involve being shell-shocked like the first interview that we’ve ever done, but it’s still a new project. But the excitement is up, and the anticipation is pretty high. TRIBUNE: The Iconic album pays tribute to some of music’s top names ranging from Justin Timberlake to Eric Clapton and one of my all-time favorites, the late great Al Jarreau. What a loss to the world of music and just to the world. TAKE 6 (JOEL): We never actually didn’t work with Al. But our paths crossed a lot at various jazz festivals here and in Europe. He was always gracious open and friendly even though his physical limitations were growing greatly. We just thought, you know, we better go speak to him now…Al’s father knew my grandfather back in Oakwood, used to be Oakwood College…It was such a wonderful conversation reminiscing and such. We all got this strange sense that this might be the last time that we might talk to him because we knew that his health was going downhill pretty quickly but he was still on the road making great music. We admired him from so many different levels, but it turned out that was the last time that we were able to spend with him. TRIBUNE: I understand with this new album you guys are going to embark on a world tour—that will include some dates to celebrate Quincy Jones’ 85th birthday tribute. TAKE 6 (JOEL): When we heard that Quincy Jones was having birthday tribute celebration, we had to be a part of it. When we were first starting out, Quincy spoke such kind words to us and about our music. He once said about us: “This is the baddest acapella group around!” Just those little words, coming from him, did so much to give us credibility. So anytime, that he’s doing something, and they ask us to participate, we have to be part of it because he’s been such a mentor to us. TRIBUNE: Take 6’s music has crossed so many color lines, music genres, from TV to film, plays etc. What’s been the secret to staying so consistent? TAKE 6 (JOEL): We’re thankful to have been consistent. But in our minds, we had to try to figure out what is it that we do best. We didn’t really know what style of acapella we do best. We had to learn on the way. Once that was figured out, we then had to reinvent ourselves, learn from our mistakes, and learn from the people who come in around us. So, it’s interesting that you say consistency but to us, it’s been a journey that I’m glad to hear that you feel like it’s been consistent. TRIBUNE: You guys are also known for your fabulous Christmas tours. Will there be one for Christmas 2018? TAKE 6 (JOEL): We’ve had three Christmas projects out, so we have plenty of material and here. We’re thankful to be able to put out enough product that you have for every season, especially Christmas. We do enjoy our time at home because we have to balance that with family. But we’re thankful to be doing what we love. And we’re even more thankful to visit each one of these different foreign countries because that’s a privilege, that’s not something that’s owed to us. It’s a privilege to be able to be part of different cultures because they enjoy the universal language of music and so does Take 6. Next articleAttention All August Through December Brides!